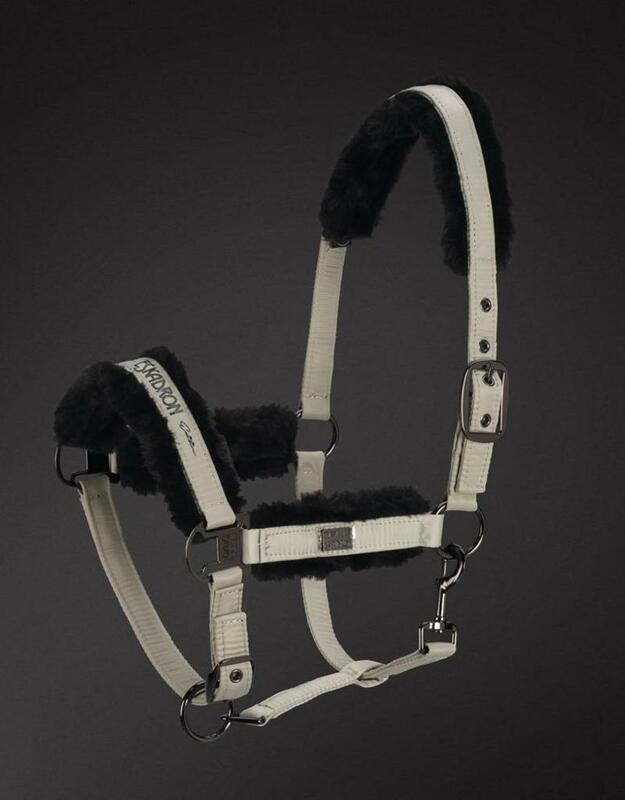 The elegant GLOSSY FAUX FUR headcollar with black satin finish fittings and thorn buckle is made of tear-resistant webbing which is covered with matt-shiny glossy-material. The easy-care Fauxfur padding is adjustable by hook and loop fastener in the nose, pull and cheek area to guarantee the best wearing comfort. 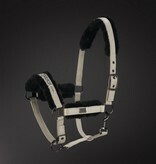 The noseband features a classical Platinum-application. The Platinum Colletion is an exclusive and strictly limited edition by Eskadron! Sophisticated materials give the products a very elegant look.